Psychotherapy is a process focused on helping you heal and learn more constructive ways to deal with any problems or issues within your life. If you find yourself in pain, feeling stuck or frustrated, my counseling services can help. In my work as a psychotherapist, I practice from both a psychodynamic and family systems approach. However, both approaches help bring into consciousness those parts of the self that are not deeply known yet effect, and even control, our daily lives in ways that are frequently repetitive, and sometimes destructive, to our success, well-being and our mental and physical health. These unknown parts of our self can impact our thoughts, our emotions, our sense of self, our decisions, our schooling, our careers and work and our relationships with family, friends and coworkers. Placing great respect for the faith dimension of the human experience has value in helping to heal emotional wounds, resolve conflicts, facilitate life transitions, and clarify values and purpose. In my work as a Pastoral Counselor, I “meet the client where they are spiritually,” allowing each individual to work at a pace and in a style that is their most comfortable. This sometimes means I am a fairly quiet listener and sometimes it means I am more interactive, asking questions and responding and educating. It is the client’s own interpersonal style that dictates and guides my interactions with them on their spiritual quest. Prayer is the privilege of communicating with God, embracing and reflecting on the things that truly matter. Whether expressing requests for yourself or a loved, it pays to pray. I am willing to pray for you and with you. Chimère accepts cash, checks, and all major credit cards and maintains a flexible fee schedule so she is better able to help her patients. 1. To begin or try again especially with more force or enthusiasm. 2. To make (something) new, fresh, or strong again. 3. To restore or replenish. 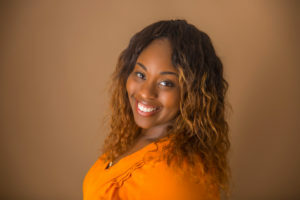 I provide clinical services through an integrative approach of psychotherapy and pastoral counseling as I assist individuals, couples, and families from diverse backgrounds and unique experiences. My work seeks to strengthen and hone the cognitive, social, emotional, and spiritual skills one needs to navigate the challenging terrains of life. I work from a holistic stance that embodies the mind, body, and soul with the intention of adequately serving my clients and helping them forge forward with wellness and wholeness as the ultimate goals. Our time together will be held with the utmost sincerity as I treat each session as precious and sacred. I infuse warmth, empathy, humor, and positive regard in every consultation, understanding that it takes an enormous amount of courage and brevity to seek out help and counsel. Together, you and I will foster a dynamic therapeutic relationship that is centered on your individual needs and specific goals. Feeling, healing, and dealing are the central steps that can pave the way to you living your best life now. Are you ready to be renewed? Help is just a phone call or email away, I consider it a pleasure to come alongside you as you take the first step of what can be an amazing journey–Let’s Talk!